Dr. M: Tiffany if you’re on the line, if you’ll hit star 6 that’ll allow you to join the call live. If you can join us, that’d be great. Dr. M: Hi Tiffany, thanks for joining me tonight. What’s the weather like in Alaska right now? Tiffany: Actually it is mild temperatures but we got a little bit of snow finally today. It won’t stay around very long, but yay snow. It’s been a dry winter. Dr. M: It’s kind of a running joke with Tiffany and I, me being here in the south here in Birmingham Alabama, every time we talk I always ask her what the weather’s like. In my mind every time I talk to her she’s bundled up in a big fur coat in a blizzard, and every time I talk to her she tells me the weather’s great. I’m always disappointed not to hear there’s a blizzard. Tiffany: Yeah, it’s a balmy 28 so we’re thrilled with that. Dr. M: You guys are walking around in shorts, it’s great. Thanks again for joining me. I just would like to have you share a little bit about your history, where you were before we met and what were some of the challenges that you had before we started working together, and then we’ll talk more about where you’re at now. Tiffany: I have a lot of people ask me how are you getting better, but I can’t think of the trigger that caused me to get to where I was. All I know is before I started working with you, I had a lot of pain. I was not sleeping, hardly at all it felt like. I was waking up 6-7 times a night. I had some shoulder issues because I’m a side sleeper. It would just hurt, I was tossing and turning and awake a lot. Then it went from that into kind of a body ache, where I would feel like I had exercised vigorously the day before. My legs hurt, my arms hurt and it was a deep muscle ache even though I hadn’t exercised the day before. Those were my biggest issues. I just didn’t feel good, and my husband would always ask me what’s wrong? I’m like, I just don’t feel good. I didn’t know why, I didn’t know the cause. I know that I just ached. I would try to exercise and it would wipe me out for 3 days. I had zero energy. I would get my kids off to school and then I would take a nap. Those naps would be 2-3 hours long and I would still be just as tired as I ever was. The here was no “I feel great today, I have a ton of energy.” I was just totally worn down. Dr. M: You’re really busy for those that don’t know. You’ve got a very large family. How many children do you have? Tiffany: I have 8 kids. Dr. M: You really didn’t have the luxury of laying around and not doing anything. You had no choice, you had to just get through the day. I think you shared with me in our first visit, kind of what you were doing was in a survival mode and this had been going for a while. Tell me what doctors had told you when you had gone to see them prior to us working together? Tiffany: My story is a lot different than a lot of other people. 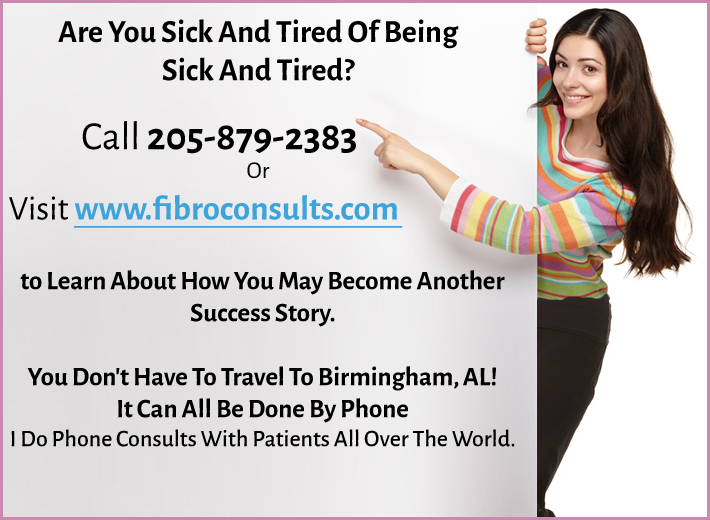 I know a lot of your patients have had the official diagnosis of fibromyalgia, and I never got to that point. Through having all the babies, my main doctor was my OBGYN. My youngest is 7, so I just continued to do my yearly check-up. With how I was feeling, I didn’t know what doctor to go to so I just didn’t go to any. With past problems, I seemed to have a lot of issues where I’m feeling a particular something, I’ll go to a doctor and they’ll be like we don’t really know why this is. An example would be that shoulder pain I’m talking about. I went to a doctor and he was like, “I think you have rotator cuff tear.” He actually went through surgery and got done and said “Oh you have a perfect shoulder, I don’t really know why it’s freezing up or whey it hurts.” I did go to my yearly female visit and I said, I am tired all the time. We talked a little bit and she asked me what I did for myself. I said, I like to donate blood. That makes me feel like I’m doing something for someone and it takes very little effort on my part. She got very upset with me. She said as tired as you feel, that’s the last thing you should be doing. We talked about the shoulder stuff and she told me, “You need to get more sleep.” I remember leaving that visit thinking, you think I don’t know that? But how do I get more sleep, because it just hurts and I’m waking up. There was no solution, I left thinking like who’s going to listen to me? I didn’t know where else to go, so I just didn’t go anywhere. Dr. M: I think that happens a lot. You get so frustrated with seeing doctors that tell you that you just need to exercise more, you need to lose weight, you’re just depressed or it’s all in your mind. Finally I think you just give up … sad but true, I think that happens a lot. Your health goals when we first started, I know the sleep was a big one. Tell me about your sleep now. Tiffany: It’s like night and day. It’s funny that you asked that because literally this week after Christmas break, the kids are back in the routine. I’m getting up and my body is waking up on its own super early in the morning, before my alarm is set to go off at 5. I’m waking up and I’m alert, I feel good, I feel rested. Occasionally I still have to shift sides because of the shoulder, but it’s like oh I’m awake, I’m asleep whereas before it was, oh I’m awake, it’s 12:30, I went to bed 45 minutes ago. It would be every hour, sometimes 20 minutes but now I’m pretty much sleeping from the time I go to bed, till the time I wake up … it’s 100% different. Dr. M: Yeah, tell me about the pain that you had. You had the neck pain, the mid back pain, hips, arms, knees … everywhere at one point. Tiffany: It was. Like I said, it was the deep muscle pain in my legs and arms. My husband would just brush my arm or he would try and rub my back, and I would say don’t do that it really hurts. I didn’t like to be touched. I had some headaches, but it was most of the large muscles on my body. They just ached. Dr. M: The other thing that we worked on was that you had gained some weight. Your diet like a lot of my patients was a really healthy diet, yet your metabolism was really down. Even though you were doing your best to eat healthy, you still were gaining weight and feeling really run down and sluggish. Tell me about the diet. How are you doing with the diet that we put you on? Tiffany: I appreciate the fact that when I started seeing you, it wasn’t everything all at once. It seemed like you treated me in stages, so the first thing was the food sensitivities. I got that back and I thought what am I going to eat, but I still had some options because we hadn’t started the diet. I eliminated those food sensitivities and there seemed to be a lot. Everyone’s like, oh it was gluten but it was more than that. It was garlic, vinegar, yeast … there were just a lot of them. I did my best to eliminate all of those and I lost 15 pounds fairly quickly. It was just a turnaround, and then we moved into the diet. Because of those food sensitivities, I was pretty limited as to what I could eat within the diet but I was really diligent. 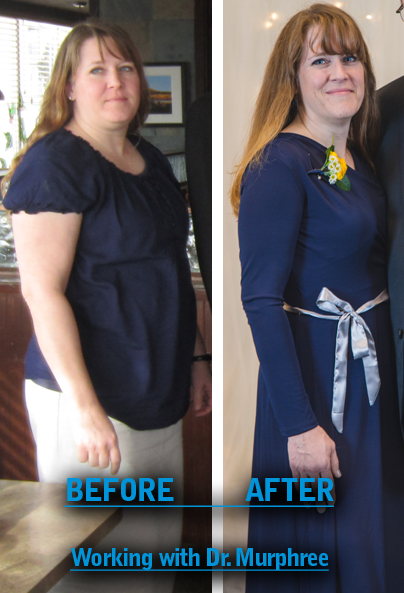 I had success, I’ve lost about 50 pounds now … I didn’t anticipate the weight loss. I came to you because I wanted to feel better and I was at my last … if this didn’t work, this is how I’m going to have to be the rest of my life. With my active family, I was going to be left out. But with the diet, I did see success. 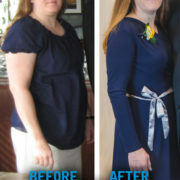 Dr. M: I always tell people, it’s not about the weight loss. That’s a byproduct. For a lot of people, it’s a happy byproduct, but really in your case it was because you had so much inflammation that we found in the blood work. Really the best option was to have you go on the anti-inflammatory diet. 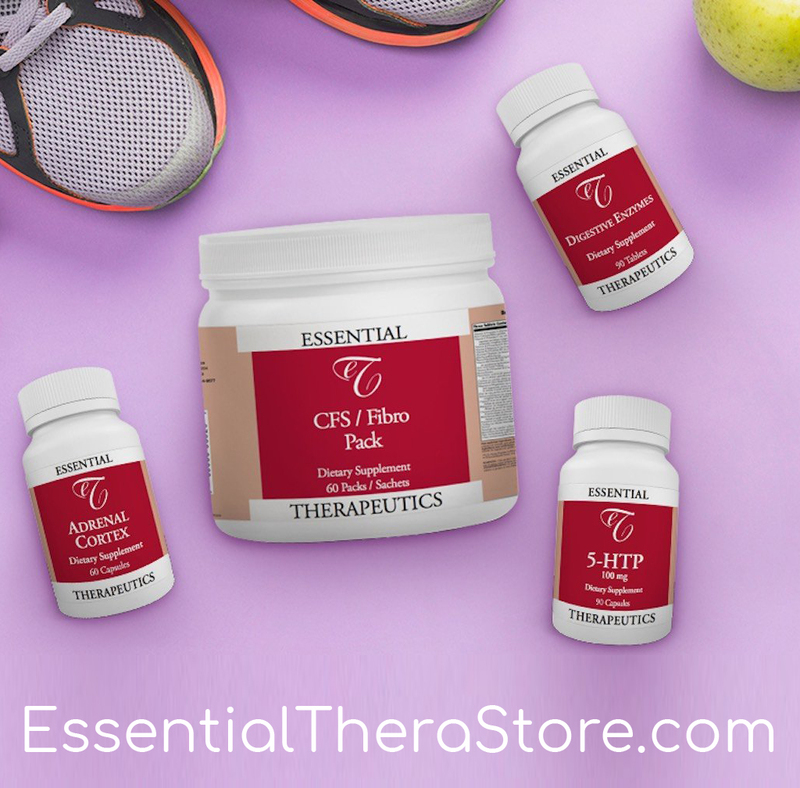 One of the byproducts of losing the body fat where you store inflammatory chemicals is that your metabolism goes up, so you have much more energy. Of course we found that you had low thyroid that they never found. The other benefit is that by losing the extra weight, your inflammation goes way down and your pain goes way down. People are hearing this and thinking oh my gosh, I have to go off all these foods and I’m not going to have anything to eat. Given what you went through and you worked hard, it’s not easy, was it worth it? Tiffany: Absolutely. My peers that I socialize at church or with my kids at school, they’re seeing the outward appearance of, “Oh what are you doing? You look great.” But for me, it’s the inside. It’s so worth it because I feel better. I have the energy to go do the things that I want, without doing those things and then pained for it in the negative way when I’m done. I get to live the life that I choose to live. I don’t get to live that my body allows me to live. Dr. M: You’re still young, 45 and yet a year ago at 44, you were thinking what am I going to do? I’ve got all these children, I feel really run down and the doctors are no help. You could have easily given up all hope. What was it that got you to do something different, that now has led to this positive outcome? What was it that kept you going and made you keep looking for answers? Tiffany: What kept me going is the belief in a higher power, a belief that I have a heavenly father who loves me and he understands what I was going through. If I was meant to have that, then help me deal with it but if there’s a better way, help me find it. Scrolling through my news feed on Facebook, one of my friends had linked some video that you had done. For some reason, I thought I’m going to watch this. As you described things, I was like oh my gosh that’s me. I pondered that for a while, then went to the website, pondered it more and approached my husband and said, “I think I need to call them.” He’s like, “Do it if you think it’ll help you.” Then I sat on that for several weeks, because I had to get over the part of ‘If I do all this and he says he can’t help me, then what?’ It did seem like a leap of faith to go ‘Ok I’m going to call and fill out the questionnaire, and be prepared to be told you’re one of those people I can’t help.’ The blessing continued when you said, ”We can do this and I think I can help you.” There’s a tremendous amount of gratitude with all that. Dr. M: What was it like working with me by phone? You’re in Alaska, obviously you couldn’t come to see me every week. What was it like working with a doctor by phone? Tiffany: It was different, but now when people ask me what have you done, I’m like I found a doctor who listens to me and who thought outside the box. The thyroid I think would be a good example of that. If you look at what normal doctors think are the normal ranges … maybe my test came back within that normal range, but you looked at the whole picture because not everyone is normal. To treat that thyroid even though another doctor would have and has told me your thyroid is fine … you took the time to listen and see me as a whole person, to continue to ask me questions that I didn’t know needed to be asked. I found it great. The appointments weren’t long, they were timely and I knew that I could email. I love talking to your office staff because they always call me ‘sweetie’ or ‘honey’. It makes me feel special and they know me by name, even though I know you see a ton of people. I was treated as an individual, not as a textbook case. Dr. M: You’ve worked really hard and I think it’s important to say that, because unfortunately a lot of people think that it’s about just taking a bunch of supplements and that’s it … changing your diet, eating healthier but there’s much more to it than that. It really took a lifestyle change for you, you worked really hard and I’m proud of you for getting where you’re at. 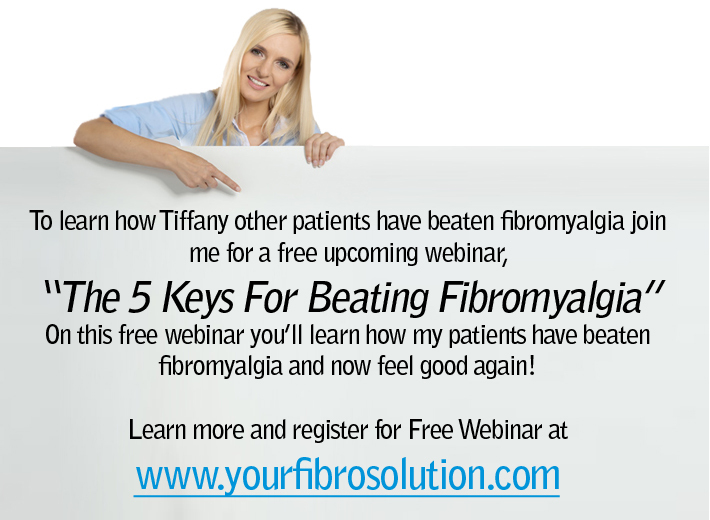 Do you feel like you’ve beaten fibromyalgia? Tiffany: That’s a tricky question. Dr. M: It is a tricky question. Tiffany: It’s like climbing a mountain. I think I’m climbing it and I’m conquering it, but there’s always the potential that something that I do or more that something I don’t do … I have days when I wake up and I’m like, I think my legs are feeling and I have to think what am I doing? I have to put me first, otherwise I could end up very much right back where I was. That’s a scary thought. You almost forget how bad it was when you start to feel good, just like you forget what it feels like to feel good when you feel yucky. Have I beat fibromyalgia? Yes for today, but I have to take care of me to make sure that it doesn’t happen again. Dr. M: That’s a great answer. Is there anything you’d like to share with the folks on the call tonight, or the folks who listen to the replay of this? Tiffany: The biggest thing is that we have that intrinsic knowledge of what our body is, how it should be and we know when things aren’t right … To just keep looking for those answers. If someone tells you you’re fine or blows you off, don’t give up because you know that there’s something wrong and someone will listen. For me, that someone was you. Dr. M: Great. Tiffany, thank you so much for joining us tonight. I look forward to talking to you soon. I think you’re an inspiration to everybody that’s going to listen to this. They’re going to have to be inspired by your story, and it makes me feel great just to hear how well you’re doing. Dr. M: Thanks a lot. WOW, I am just like Tiffany. I am 45 but hurt so bad I feel like I am 90. I need to loose weight but hurt to bad. When I talked to several doctors they looked at me like a was nuts. I have not been diagnosed went to my first Rheumatologist appt and had $3000 worth of blood work just to tell me I had love vitamin d. I feel hopeless many days. I have fibromyalgia and I also have no thyroid. I have been on thyroid meds from 11 years of age. I was recently diagnosed with hep c as will and have had diabetic epasod so my doctor is having me test my blood surer. I will be 46 in April. I hurt every day and have to take a nap in the middle of the day witch is hard do to work. I hate that my family and friends don’t understand what I go through every day. I am at a lost and my depression is getting worse. I am really glad I read the article. I can directly relate to all of the details listed. I would love to learn more. My fibromyalgia keeps me down quite a bit, and the weight gain and being unable to do anything about it due to the pain and fatigue. I’m 61 yr old female. I’m at the end of my rope. Please help me feel better. I’ve been through so many doctors that think I’m just after drugs or depressed. I use to be a human hurricane. Now I’m not even a gentle breeze. I realize that I’m not 21 anymore, but the way I feel isn’t normal. I was a hairdre5for 40 years and raised 2 children alone as a widow. I’ve had to retire because I just can’t function anymore. I filled out your questionare and asked my dr to send you all of my lab work. What next.? I’m desperate. Please help me!